Ritalin is a prescription stimulant drug developed for treating attention disorders like ADHD (Attention Deficit Hyperactivity Disorder) and ADD (Attention Deficit Disorder), but it is increasingly used by students for studying purposes. Its effects are highly similar to the effects of cocaine and amphetamines (White, Becker-Blease & Grace-Bishop, 2006). I became interested in Ritalin instantly when I experienced the effects of the drug myself. One night I was studying with someone I know well, who had been taking Ritalin without prescription. When he offered me to try Ritalin as well I first refused the offer, but I became curious about the effects and tried it after all. I was startled by the effectiveness of the drug, which made me extremely focused and kept me studying for 6 or more hours straight. I felt trapped in a tunnel vision; without being distracted by hunger, thirst, physical inconveniences or other distractions I wanted to keep reading and studying. I felt I had to know every detail in the text. Dull information about the personal lives of classical sociologists suddenly seemed super-interesting and fascinating to me. I was also startled by the side effects of Ritalin: I got very cold, had sweaty hands and feet, I lost my appetite and heavy emotions seemed to be oppressed. Thinking about the effectiveness, but also the troubling side-effects I experienced, I became curious about how other students, be it medical or non-medical users, experience the use of prescription stimulants. What does Ritalin mean to them and their lives? Is Ritalin a magic cure, or a tragic curse? I also wondered what students think of the acceptability of Ritalin. Does increasing prevalence of use also induce widening acceptance or normalization of Ritalin? Or is non-medical Ritalin use considered a form of cheating? In this paper I explore these questions, as well as questions regarding how Ritalin use relates to broader concerns about our educational system. Could it be that a ‘pharmaceuticalized university’ has emerged, in which problems have to be solved with medications to keep up with the pace and teaching methods? In the United States the use of prescription stimulant drugs like Ritalin has been steadily increasing (White, Becker-Blease & Grace-Bishop, 2006; Esteban McCabe, Knight, Teter & Wachsler, 2004; Moline & Frankenberger, 2001; Judson & Langdon, 2009). With this use, misuse and abuse are inevitable. Much literature about non-medical use of prescription stimulants provides evidence that misuse and abuse is a growing problem among students. Most of this research is conducted in the United States. As a Dutch student, however, I think this trend is present among students in the Netherlands as well. In recent years the Dutch media have paid much attention to the increasing prevalence of medicine use among young children, but reports about non-medical use of prescription stimulants are rare, and thorough qualitative studies are virtually absent. To prevent misuse and abuse, but also for our society to create a healthy conduct towards the use of prescription stimulants, research about Ritalin use is highly relevant and needed. In this ethnographic study, I try to illuminate this subject from a student point of view. Six in-depth interviews were conducted to explore the questions and issues stated above and other aspects related to prescription stimulants use. The following main question is central to this research: What are the attitudes of Dutch students who use prescription stimulants towards the use of those prescription stimulants for academic purposes? The attitudes explored in this paper focus on experiences of Ritalin use, both positive and negative, the reputation of Ritalin with regard to health risks, the nature of Ritalin use according to the respondents, and the perceived necessity of Ritalin use for study purposes. Ritalin use can be analyzed in a broader, global context. An important question central to this analysis is: Why do students use Ritalin? Ritalin is often mentioned in relation to ‘pathologization’ and ‘medicalization’. Pathologization refers to the trend to classify behavior as abnormal and therefore as a disorder or disease, and medicalization is the related tendency to treat those abnormalities with medicines. An underlying force to these developments is the idea of ‘malleability’; the idea that life can be influenced and formed to one’s own will. In this paper I will explore if the use of prescription stimulants is related to global processes of malleability in any way, as some researches argue (Miller & Leger, 2003). Of course this is hard to assess, so I will limit my discussion to students’ own attitudes towards the use of prescription stimulants and associated feelings of individual malleability and agency. Giddens has argued that being a purposive agent is an inherent part of being a human. Humans can reflect upon their actions and discuss why they take certain actions (Stevenson & Knudsen, 2008). This is also the case with practices involving Ritalin use. In this paper I will try to call attention to the role of agency in relation to Ritalin use. Are Ritalin users active decision-makers in taking Ritalin? Do they think Ritalin is a changing agent in their lives, or do they feel it is a mere tool to increase their agency? Either way, do they think using Ritalin is ‘normal’? Karl Popper, seen as the founding father of science philosophy, once said that all science is based on a marsh of human input (Dehue, 2012). Nowadays we are increasingly capable of detecting the physical and neurological causes of diseases. But as Popper’s quote illustrates, in defining the boundaries of diseases there are always normative aspects involved. What do we classify as normal, and what do we classify as abnormal? This is perhaps even more the case with psychological disorders, since these are often not attributable to a physical cause or visible disability. ADHD and ADD have recently attracted much attention, especially because of the growing prevalence and associated problems as mentioned before, but also regarding the related diagnostic process. ADHD is seen by some as a controversial disorder (for example Singh, 2012), and there are concerns that the current standards of diagnosis leave too much room for over-diagnosis (Bloemink, 2011). After all, ADHD is merely the name for a cluster of symptoms that are decided on by the Diagnostic and Statistical Manual for Mental Disorders (DSM), and the criteria used to diagnose ADHD or ADD are becoming more flexible (Bloemink, 2011), as more types of behavior are being marked as ‘abnormal’. The flexible norms about abnormality exposes the degree of pathologization in our society. Pathologization and the related medicalization are creating dilemmas for our society. Should we treat a diagnosed disorder with medication or should we try to solve the problem in other ways? Medicalization is often referred to as the tendency to treat all possible abnormalities or deviations, whether they are life-threatening diseases or small inconveniences, with medicines. ADHD and ADD, and the drugs used for their treatment, are very evident subjects in the debate on medicalization. In ten years time the number of persons that take Ritalin has risen from 40,000 (2002) to 200,000 (2012) (Dehue, 2012). It is undeniable that the idea of malleability through medicine use is already present in schools and universities. The roots of this phenomenon, however, are not easily dismantled. Medicalization could have an effect on schools, creating a demand for prescription stimulants by providing them, but developments in the educational system could also be creating this demand. The most likely scenario is that developments in education together with medicalization are affecting students, and according to many scholars in harmful ways. 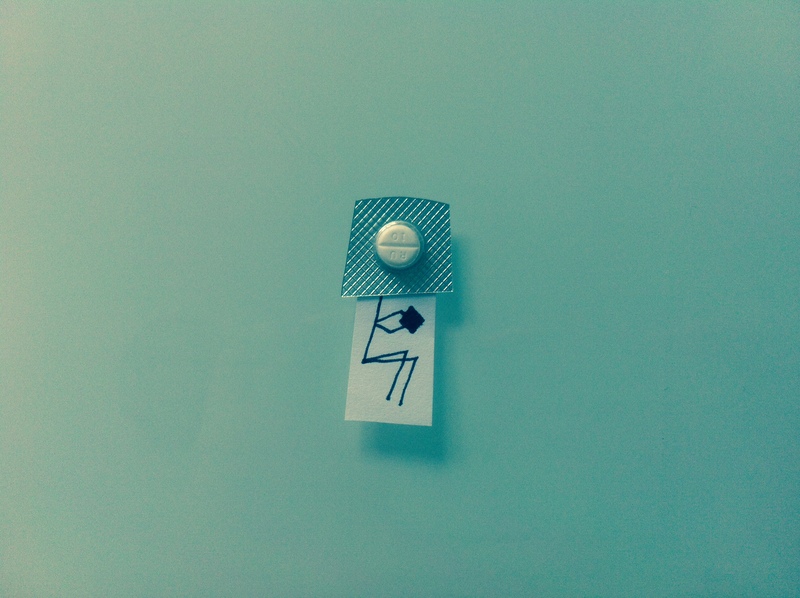 Tazin Karim (2013) analyzes Ritalin use in what she calls a ‘pharmaceuticalized university’. She notes that many anthropologists have argued that the increasing availability of pharmaceuticals has generated a sense of agency on healthy Americans who feel they could benefit from these medical technologies for non-medical purposes. She states that if society continues to value performance over learning, this ‘pharmaceuticalized culture’ will only grow larger. More students will think that Ritalin is a good solution to raise their grades. To discourage Ritalin use, she advises to change the teaching strategies that are currently implemented at schools and universities, like replacing a ‘one assessment model’ with multiple mid-term assignments and exams. The question is, could a pharmaceuticalized culture, or medicalization, also be affecting students in the Netherlands? To examine this issue, six in-depth interviews were conducted with tertiary education students about their views on Ritalin use. Three of them were medical users of Ritalin, two were non-medical users, and one was a non-user. The initial plan was to focus on ‘students’ in the broadest sense by interviewing medical users, non-medical users and non-users, so that students with different relations to Ritalin would be represented. Because of the limited scope of the research, and because the narratives of Ritalin users proved to be so interesting and extensive, I decided to focus on the attitudes of Ritalin users. After changing the focus from ‘student attitudes’ to ‘user attitudes’, the interview conducted with the non-user became less relevant. Still, it was useful to see if any striking differences could be noticed in this interview, which turned out not to be the case. In the end the interview was not used for quotes or anecdotes, but it did serve to expand my general understanding of attitudes towards Ritalin use. It must be said that the distinctions that were made in prospect of the research between medical users and non-medical users proved to be flexible. In two cases medical users obtained Ritalin without a prescription, and in two cases non-medical users diagnosed themselves with ADD. One of these non-medical users was in the process of getting officially diagnosed. Besides taking a student point of view, I also assumed a somewhat critical perspective in this research. In a study about ‘smart drugs’ (drugs that enhance cognitive achievement), Canterbury and Lloyd (1994: 198) stated that: ‘Nootropics may be to the human mind what steroids are to the body.’ This statement illustrates what interests me about the topic, and at the same time aptly summarizes my opinion as a researcher, with an emphasis on ‘my’. Do people really need Ritalin, or are there alternatives for people to cope with their problems? I am curious to find out what other students think of the above statement about nootropics. Because of my own opinion on Ritalin, I asked my respondents certain questions to stimulate critical thinking. In this way, my somewhat critical opinion led to interesting and critical stories and anecdotes. During the research, I tried to be aware of my subjective point of view at all times. Furthermore, I tried to make sure that my opinion was never dominant or insulting, to give all the space needed for respondents to talk about the subject. The interviews with my respondents lasted for an hour to an hour and fifteen minutes. Some respondents were unknown to me before the research, some were acquaintances, and some were friends. The use of prescription stimulants is not free from taboos and disapproval, and speaking to people whom I already knew and had a trust relationship with gave me the chance to talk freely about otherwise sensitive topics. The people whom I did not know, however, proved to be no less open and willing to talk about personal topics. All names in this paper are fictional. It was quite a while ago for Lotte, a 23-year-old student who has been taking Ritalin for ADD, four years actually, but her first experience with Ritalin was still vivid and clear in her memory. Everything finally made sense to her when she got diagnosed with ADD four years ago. She mostly got good grades, but she always had trouble concentrating and planning her schoolwork. The low grades she got for listening comprehensions were unexplainable, and that is why her school finally noticed that something had to be wrong. She still lives at home with her mother, father and younger sister. Her father and sister have both been diagnosed with ADD as well. At the moment Lotte does not have her own prescription, but she gets Ritalin from her younger sister. Lotte is not the only one I talked to who does not have her own prescription, but gets Ritalin from family. Roderick, a 21-year-old student, gets his Ritalin from his younger brother. Roderick is not diagnosed with ADD yet, but at the moment of the interview he is involved in a diagnostic process. Jasper, a 21-year-old student, does have a diagnosis for ADD, but he gets his Ritalin from the mother of one of his friends, who is a psychiatrist. He tells me that he could get a prescription for ADD so that he can get his own Ritalin, but that would take time and effort, and that this way it is much easier. Bram, a 21-year-old student, is the only student I spoke to who takes Ritalin every school day on a medical basis. He has his own prescription. Mo, a 22-year-old student, takes Ritalin on a non-medical basis. He gets Ritalin from friends. He tells me that, while he feels that he has some gradation of ADD or ADHD, he does not really feel in need of a diagnosis. Regarding the functional effectiveness of the drug, all respondents are positive. There seems to be a consensus among them about the functional effects. Ritalin helps them in doing schoolwork. For Lotte, Ritalin also helps her in planning and organizing her work. Ritalin is perceived by the respondents to clear their mind; to enable them to focus on one thing. They all say that Ritalin makes studying much easier. Jasper explains that it really helps him to do more in a short time. Without Ritalin, he would not be able to concentrate enough, and would not be able to learn as much as he has to. Side effects play an important role in the use of Ritalin for most of the students. Before I even mentioned the subject myself, it was automatically introduced, because side effects affected important aspects of their lives. Jasper stopped taking Ritalin on a regular basis because he experienced too many side effects. He felt emotionally unstable, became aggressive, had weird dreams and felt down. He thinks Ritalin makes people ‘mind dead’ [geestdood]. Furthermore, he is also troubled by physical side effects. He does not like the fact that Ritalin takes away your appetite, another reason that he takes the pills as little as possible. At the moment, he only takes Ritalin when he thinks he really needs it to concentrate, mostly during exam weeks. Side effects also play an important role in Lotte’s life. She started taking Ritalin when she was 19. In the beginning she took three pills a day, usually two in the morning and one in the afternoon. However, not long after her first pill she stopped, because she experienced many side effects. She lost a lot of weight, and her hands and feet got really cold, and sometimes almost turned blue, purple, or even black. She went to the hospital because of her cold hands, and she immediately had to get an electrocardiography (a visual scan of your heart activity). She tells me that nothing was wrong in the end, but she is still troubled by cold and blue hands and feet, also known as Raynaud’s phenomenon (a disorder which causes spasms in the blood vessels). Just like Jasper, she now only takes Ritalin if it is really necessarily. She seems to be worried about the healthiness of the drug in general. When asked if she ever gave Ritalin to someone without a prescription, she answers that she would be too afraid that something bad would happen to that person. Mo tells me that Ritalin makes him feel somewhat tired, weak and feverish. Moreover, both Roderick and Mo mention that Ritalin can change your character: it makes you dull and anti-social. Tim is the only one who tells me that he is not troubled by side effects. The only thing that is important for him is that he does not take a pill late in the evening, because it makes him sleepless. However, he does give pills to friends sometimes, and he hears about side effects from them. It is therefore, he tells me, that he is a lot more cautious now when giving Ritalin to friends. He explains that if he reads the medical instructions he often thinks to himself that he should stop giving his Ritalin to friends. She does not seem to be too concerned with ethical issues. If students want to use Ritalin for academic benefits she can understand, but she thinks that people should not be messing with it because of the health risks. To back up her argument, she points to the possible risk of having a sudden heart attack. Jasper thinks that Ritalin is crap as well. But he is less worried about the healthiness of Ritalin. He uses other drugs quite often, so he says it would be hypocritical to be worried about it. But still he also wants to use Ritalin as little as possible. This also applies to Roderick and Mo. Just as Miller and Leger (2003) state, Ritalin to some extent induces individualization and medicalization; everybody is expected to work on his or her own future and to alter his performances with medicines if possible. It can be stated that Ritalin use is more or less accepted by the students. Even though Jasper blames himself for starting too late, I think that it is the task of schools to intervene here, by training students to adopt healthy learning habits. When I ask him what his life would be like without Ritalin, he says that he would not be able to do so much subject material in such a short time. If he would adjust his learning behavior by starting to revise earlier, making his assignments and following the week planning, he believes he would not need to use Ritalin. It is only when he starts the weekend before, that he really uses Ritalin. He also tells me about one really nice course, which he thought was so interesting that he did not feel the need to use Ritalin. Lotte explains that she thinks schools are not adjusted to students with learning problems. This latter statement is really interesting. Respondents to some extent think that the educational system is the cause for their Ritalin use. Even students who are diagnosed with ADHD or ADD say that if they had other tools like coaching, more time, or alternative schedules, they would be able to succeed in college without the drug. Ritalin is just a tool to make things easier for them. The fact that Jasper does not take Ritalin for a course that he really likes, could also tell us something about the current educational system. If students would be motivated for all courses, maybe they would not need Ritalin after all. All of the respondents are positive about the functional effects of Ritalin. They get more focused and concentrated, and they can empty their heads. However, almost all of the respondents are troubled by side effects. Some even altered their way of living and way of Ritalin use because of the side effects. Respondents mention both physical and mental side effects. Ritalin is not seen as a super drug, but as a tool that gives them support during studying. That is one of the reasons why Ritalin use is not considered cheating; when you take Ritalin it does not mean that the work is done automatically. Respondents emphasize the student’s own responsibility that is still needed to succeed in studying. It could be concluded that normalization of Ritalin is indeed occurring; respondents think that it should be a student’s own choice taking Ritalin or not. This could be interpreted as a sign of medicalization; if it is possible, why not take a pill to enhance your performance? There is a contradiction in experiences and attitudes towards Ritalin: despite troubling side effects, respondents still feel the need to use Ritalin. When thinking about a life without Ritalin, however, they acknowledge that there are other ways to solve their learning problems. The fact that they feel the need to use Ritalin despite the side effects must mean that there is a pressing motivation to use it anyway. Respondents talk about the educational system as if it could be one of those pressing motivations. If they had more time, or started earlier, got coaching or alternative schedules, they think that they could still be successful in their studies. Because they do not experience these advantages at the moment, they feel the need to take Ritalin to be able to succeed. This is a really interesting finding, and more extensive research would be really valuable. To see if a ‘pharmaceuticalized culture’ is indeed arising in the Netherlands, more research is needed. It is important to note that I certainly do not deny the existence of ADHD or ADD, or that I deny that students with learning or focusing problems do not need extra help and attention. But based on my research findings, solutions could be provided to give students the opportunity to function without Ritalin. If courses would be more interesting in the eyes of students, there would be less need among them to use Ritalin. Furthermore, more time and attention could be offered to students who have problems with concentrating. Moreover, students who have studying problems could use training to learn how they could study effectively and begin studying on time. This study shows that studying students’ perceptions of Ritalin use is important if we want to understand its underlying reasons and mechanisms and comprehend it in the broader context of a pharmaceuticalized university culture. Ritalin should not be normalized, and we should make sure we remain critical of its use and associated practices. Bell, S., Partridge, B., Lucke, J. & Hall, W. (2012). Australian university students’ attitudes towards the acceptability and regulation of pharmaceuticals to improve academic performance, Neuroethics, 6, 197-205. Bloemink, S., (2011) Iedereen geestelijk ziek. De nieuwe DSM: de afspraak dat we het niet weten. De Groene Amsterdammer, 10. Canterbury, R. J. & Lloyd, E. (1994). Smart drugs: Implications of student use, The Journal of Primary Prevention, 14, 197-207. Dehue, T. (2012) De patient is niet goed snik. De Groene Amsterdammer, 32. Esteban McCabe, S., Knight, J. R., Teter, C. J. & Wechsler, H. (2005). Non-medical use of prescription stimulants among US college students: prevalence and correlates from a national survey, Addiction, 100, 96-106. Judson, R. & Langdon, S. W. (2009). Illicit use of prescription stimulants among college students: Prescription status, motives, theory of planned behaviour, knowledge and self-diagnostic tendencies, Psychology, Health and Medicine, 14, 97-104. Karim, T. (2013). 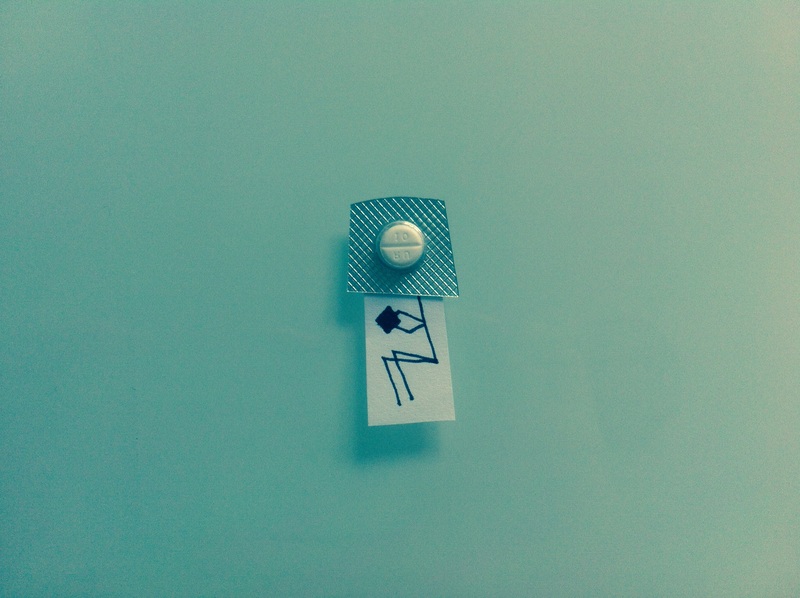 Passing with pills: Redefining performance in the pharmaceuticalized university, Anthropologies, http://www.anthropologiesproject.org/2013/01/passing-with-pills-redefining.html. Miller, T. & Leger, M. (2003). A very childish moral panic: Ritalin, Journal of Medical Humanities, 24, 9-34. Moline, S. & Frankenberger, W. (2001). Use of stimulant medication for treatment of attention-deficit/hyperactivity disorder: A survey of middle and high school students’ attitudes, Psychology in the Schools, 38, 569-584. Singh, I. (2012). Not robots: Children’s perspective on authenticity, moral agency and stimulant drug treatments, Journal of Medical Ethics, doi:10.1136/medethics-2011-100224 . Stevenson, F. & Knudsen, P. (2008). Discourse of agency and the search for the authentic self: The case of mood modifying medicines. Social Science & Medicine, 66, 170-181. White, B. P., Becker-Blease, K. A., & Grace-Bishop, K. (2006). Stimulant medication use, misuse, and abuse in an undergraduate and graduate student sample, Journal of American College Health, 54, 261-268.